Nextail, has just announced the closing of a $1.6M funding round, led by Nauta Capital. Existing investor, Realiza, also participated in the round. The investment brings Nextail’s total funding to $2M and will help the startup accelerate product development as well as expand its sales and marketing efforts. The startup, co-founded by Joaquín Villalba and Carlos Miragall in 2014, has developed a cutting edge Software-as-a-Service solution that brings artificial intelligence to physical retail inventory management. Nextail optimizes daily allocation and replenishment decisions with an agile retail approach that typically reduces by 30% the amount of inventory needed to sustain the same full-price sales levels. This financing comes after an exceptional year in which Nextail has signed as clients some leading retailers like Kiko Milano (Italy, 800 stores), Melon Fashion Group (Russia, 600 stores) or Amichi (Spain, 200 stores). “Retail loses more than $100 billion every year due to markdowns and unsold products. This round will help us further execute on our vision of bringing together the knowledge from the sales floor and the power of technology to benefit both the end consumer and the retailer.” declares Joaquín Villalba, cofounder and CEO of Nextail. “With this funding we will double our staff, reaching more retailers and helping them benefit from our smart data technologies so they can start selling more with less stock”, said Carlos Miragall, Nextail’s COO. Jordi Viñas, General Partner at Nauta Capital, led the transaction: “I was impressed by the deep fashion industry and operations expertise of the team. They are on a mission to apply the latest technology so the retail industry can be more efficient in today’s fast paced environment, which corresponds with one of our investment theses”, commented Mr. Viñas. Nextail Nextail is an inventory management SaaS for companies that operate a physical network of stores. The startup operates globally with strong roots in Spain, a leading country in the development of agile retail formats. 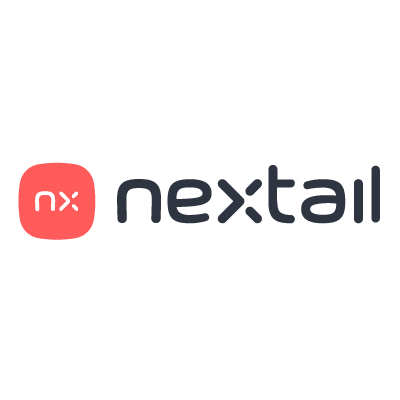 Nextail’s algorithms apply fast fashion principles and optimization to maximize the value that retailers extract from their inventory investment. Nextail’s platform is a last generation product, very easy and intuitive, that changes the way in which inventory is managed, allowing any retailer to have best-in-class inventory management in a matter of weeks. Founded in 2014, Nextail went through the acceleration program of Venture Hive in Miami (USA) and has received funding from investors including Nauta Capital, Realiza and several business angels. Nauta Capital is a Venture Capital firm investing in early stage technology companies. Main areas of interest include B2B Software propositions, disruptive Digital Media companies, and enabling technologies for Mobile and the Internet. Nauta has $260 million under management and invests in Western Europe and the USA. Nauta has presence in London (UK), Boston, MA (USA), and Barcelona (Spain) and has led investments in 30+ companies including Scytl, Brandwatch, Fizzback, GreatCall, Eyeview Digital, Basekit, Rifiniti, ForceManager, Marfeel, BeMyEye, Content Raven, ChannelSight, Rifiniti, Aba English, Getapp, Incrowd, Privalia and Social Point. Nauta Capital UK Ltd is Authorised and Regulated by the Finacial Conduct Authority (FCA). | Nauta Capital VC Partners, SGEIC, S.A., is the regulated entity in Spain (CNMV).